Tucker here!! Making my big “adopt me” debut!! I’ve been fully vetted and have gotten settled into my foster home and now I’m ready for my forever family! 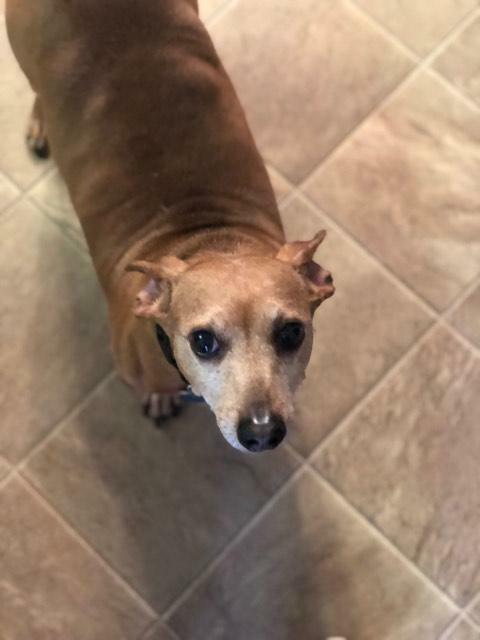 I’m a 22lb, 8 year old dachshund mix. What’s that you say? Dachshunds aren’t supposed to be 22lbs? Wellllllll, foster mom has already had a little talk with me about that and we decided that a healthy diet and exercise will help me lose weight and be my very best *me*. 🏃🏻‍♂️ Oh! Did I mention I’m potty trained?! I would LOVE a family who’s willing to help me continue on my weight loss journey by taking me on walks! I’m not overly energetic, so nothing terribly strenuous is required. Just a daily stroll will do 😊 I do well with other dogs but would probably prefer another calm dog over an energetic one. My dream family would be one who will let me sleep in the bed with them, and who doesn’t have small kids. 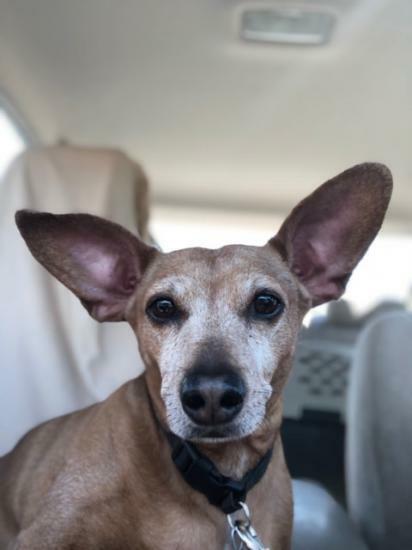 Are you interested in meeting Tucker? Apply today! !